Every AQUAS electric shower is built utilising 25 years of showering experience. 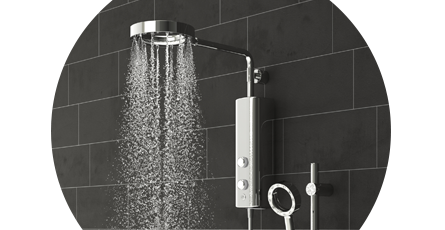 Whether you opt for a stunning AQUAS Aquamax Flex with a longer reach or the latest X-Jet technology we're sure you'll love your new shower. Every AQUAS electric shower is made to inspire. Buit to the highest standards you'll enjoy a luxurious shower experience time and time again. Experience a shower like no other, capturing the spirit of the waterfall and infusing it into your home shower, with X-Jet technology. Look out for AQUAS electric showers that feature this exciting technology.